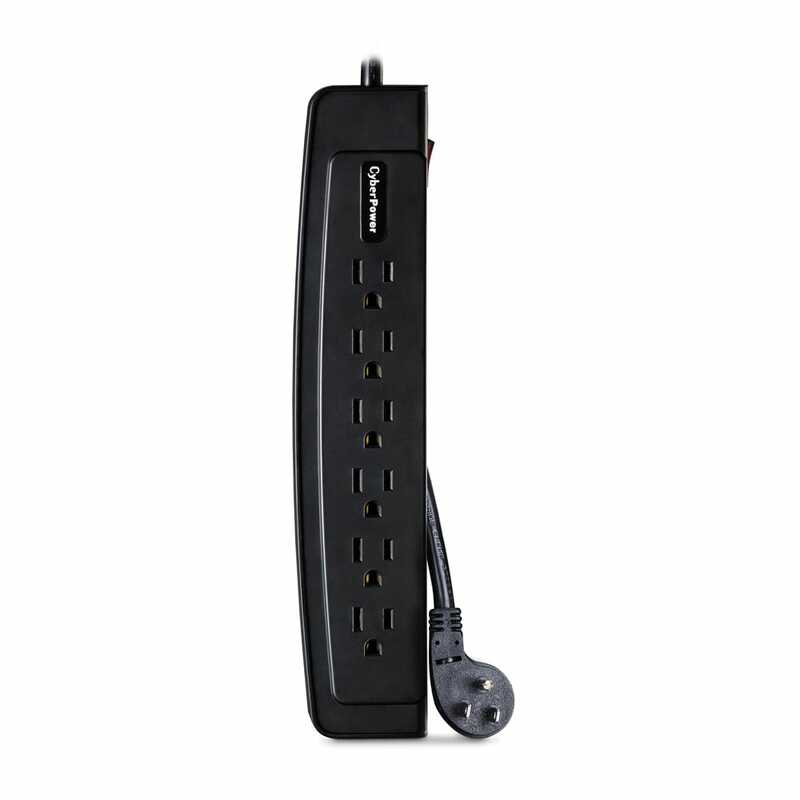 The Home Office Surge Protector P604T from CyberPower offers vital surge suppression for common home and office devices such as computers and electronics. It prevents spikes in energy caused by storms and electrical power surges and is ideal for safeguarding personal computers, phones/faxes/modems, and other consumer electronics. The P604T provides 1350 joules of protection and 6 outlets (1 widely spaced for transformer plugs). Data line protection occurs with RJ11 ports for telecommunication devices (phones, faxes, modems, and DSL lines). ​Features of the P604T include automatic shutdown, data line protection, power cord (4 ft.), right-angle plug with 45° off-set, impact-resistant casing, metal oxide varistor (MOV) technology, and an EMI/RFI noise filter. The P604T comes with a Limited Lifetime Warranty and a Connected Equipment Guarantee.